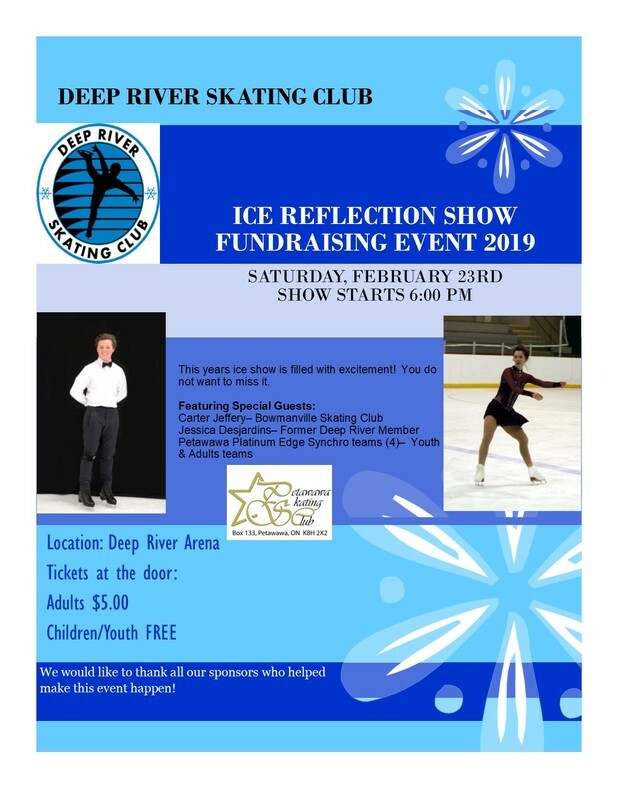 A great night of entertainment from our local skaters showing off their skills and abilities and we have special guest skaters attending the show this year. Carter Jeffery from Bowmanville Skating Club, Jessica Desjardins Deep River Alumi Member, and Synchro teams from Petawawa. Tickets can be purchased at the door. $5.00 for Adults, Children/Youth free. Show starts at 6:00 pm and fundraising activities will take place in the lobby.